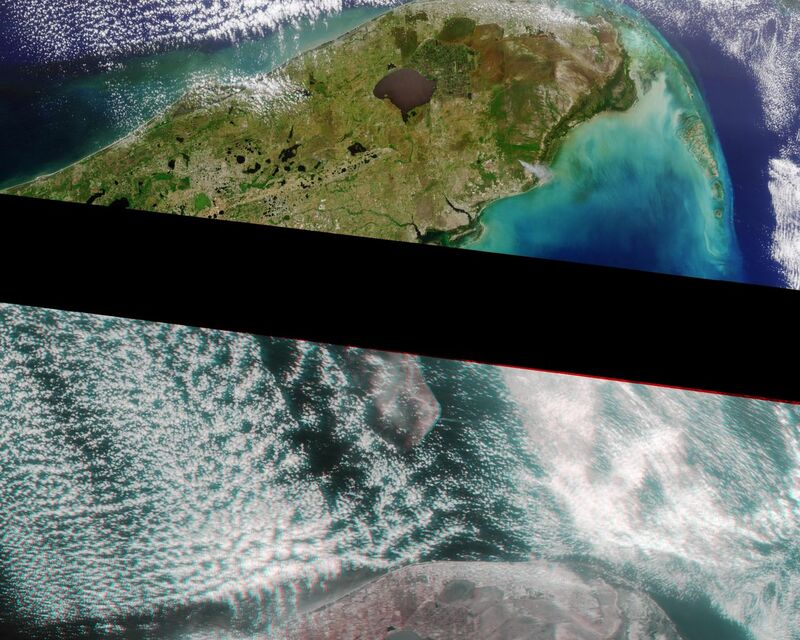 Multi-angle Imaging SpectroRadiometer (MISR) images of Florida acquired on April 9, 2000 during Terra orbit 1650. The image at the top is a color view acquired by the vertical (nadir) camera. 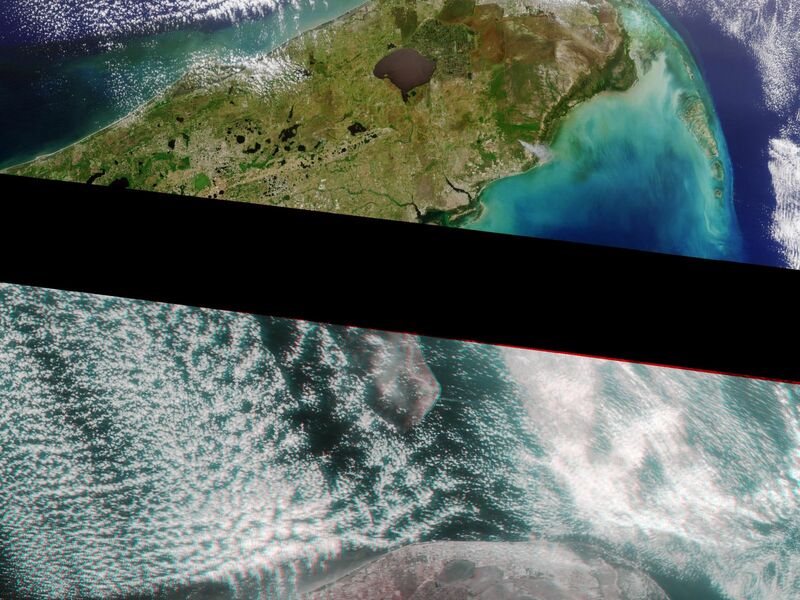 It has been reoriented so that the flight path is from left to right, to facilitate comparison with the lower image, a stereo "anaglyph" generated using 275-m resolution red band data from the cameras viewing 45.6 degrees and 70.5 degrees aft of nadir. The anaglyph provides a three-dimensional effect when viewed using red/blue glasses with the red filter placed over the left eye. 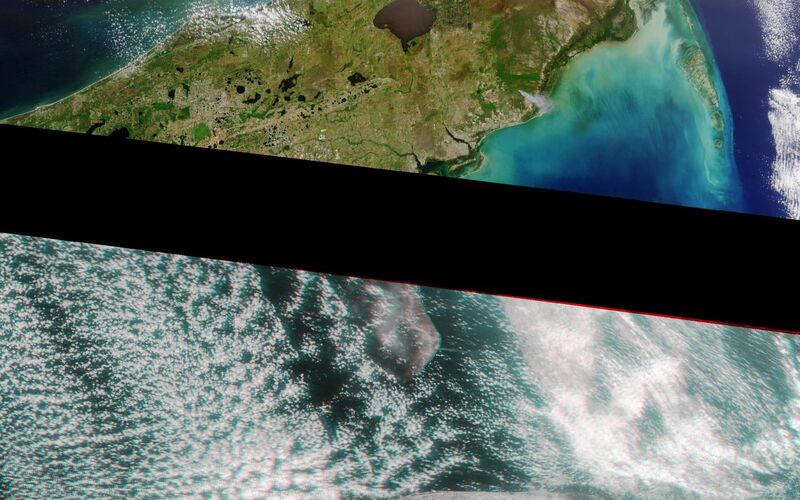 This stereoscopic "depth perception" and the variation in brightness as a function of view angle enables scientists to assess the climate impact of different types of cloud fields. 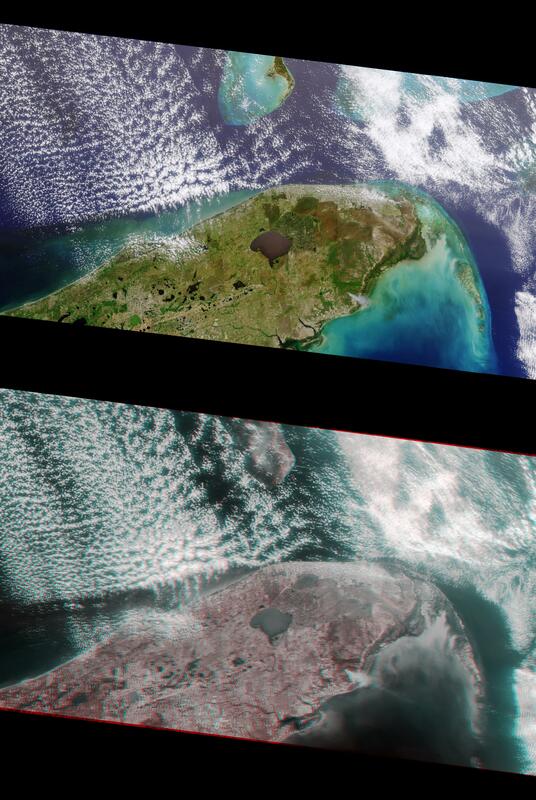 The plume from a large brush fire that burned about 15,000 acres is visible at the western edge of the Big Cypress Swamp in southern Florida. East is toward the top.